The second T20 match between India and Australia was canceled due to rain. 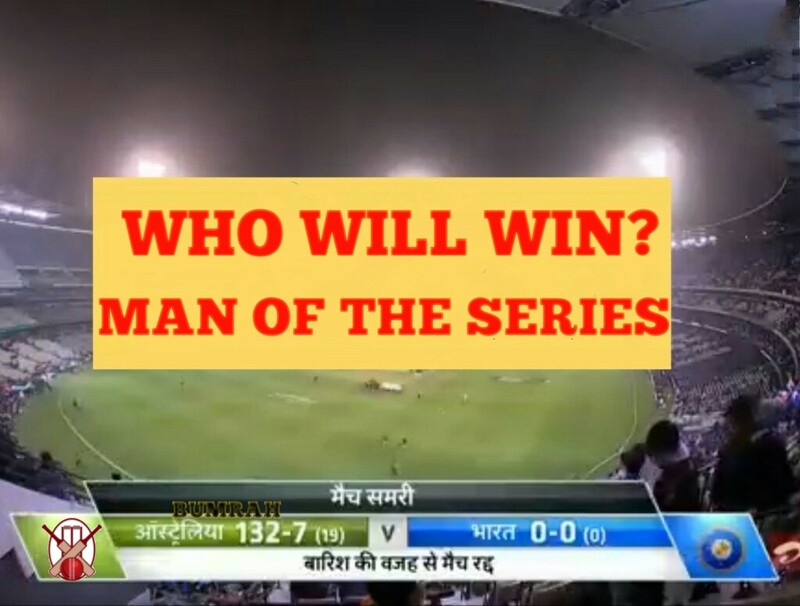 With the cancellation of this match, the hope of winning this series of India was also ended. Now the Indian team can only level the series 1-1 by winning the third T20 match on Sunday. India has two contenders for the Man of the Series for this T20 series, Shikhar Dhawan and Kuldeep Yadav. However in the second T20 match none of India's batsmen could play a single ball, in such a case, it becomes more tricky in choosing the player of the series. 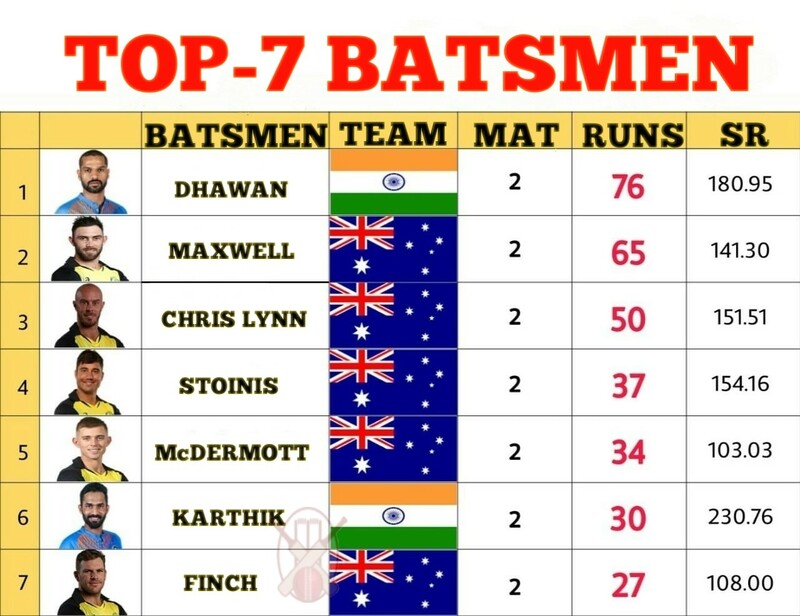 Shikhar Dhawan had scored a 76-runs in the first T20 match with that he is still in the first place in this list. In the third match of the T20 match, If Shikhar Dhawan scores a half-century of more then he can become the man of the series. 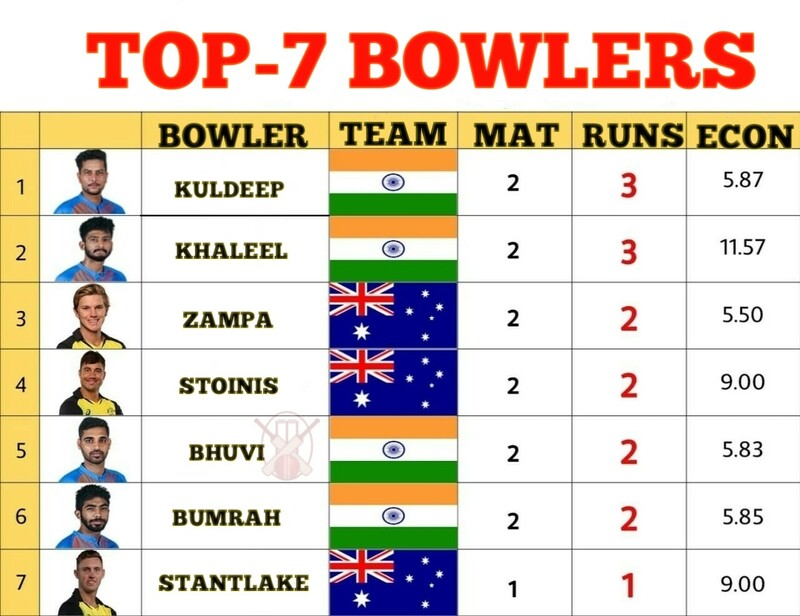 Kuldeep Yadav has picked the maximum 3 wickets with an economy of 5.87 & Young Khaleel Ahmed is in second place with 3 wickets at an economy rate of 11.57 in two games.